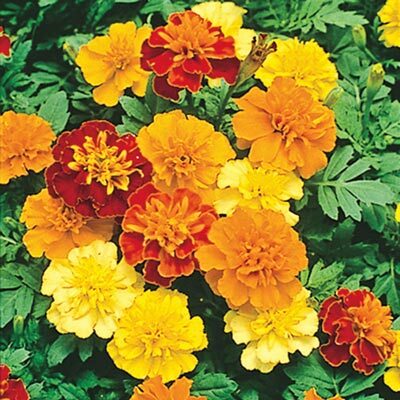 One of the most popular marigolds ever! Striking colors and dependable garden performance have made the Boy Marigolds an American classic. Dwarf, 8-10" plants are loaded with 1-1/2" blooms all summer. For each offer ordered, get Approx. 40 seeds..
Color: Mix of orange, yellow and red hues. Seed Count: Approx. 40 seeds per packet.